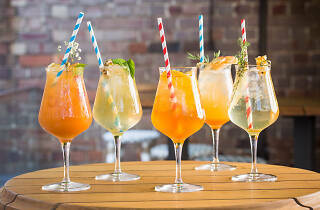 Kensington Street in Chippendale is already a failsafe destination thanks to the sheer scale of food and drink on offer, but now cocktail bar Gin Lane is adding a flourish to the mix in the form of a terrace bar dedicated to Italy's beloved aperitivo cocktails of choice, the Spritz. 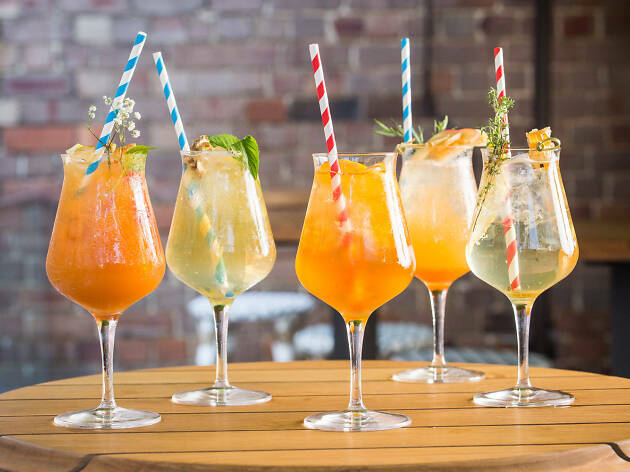 Now, anyone who's been out for a drink in the last year will already be familiar with the Aperol and Campari varieties, but at Spritz Bar they are stretching the definition across a menu of 22 cocktails that lean on the refreshing, fruity and fizzy theme. They're calling it a rooftop bar, but to keep it weather proof this second-floor venue isn't open to the heavens, but it is a breezy spot for some after-work arancini, crostone, or a cheese board. Stretch your weeknight socialising opportunities out to their full potential by taking advantage of the venue's all night happy hour on Mondays – every other night happy hour last from 4-7pm, which is generous in anyone's language.